Visiting family this weekend? Need something to keep kids busy? We are and I do. 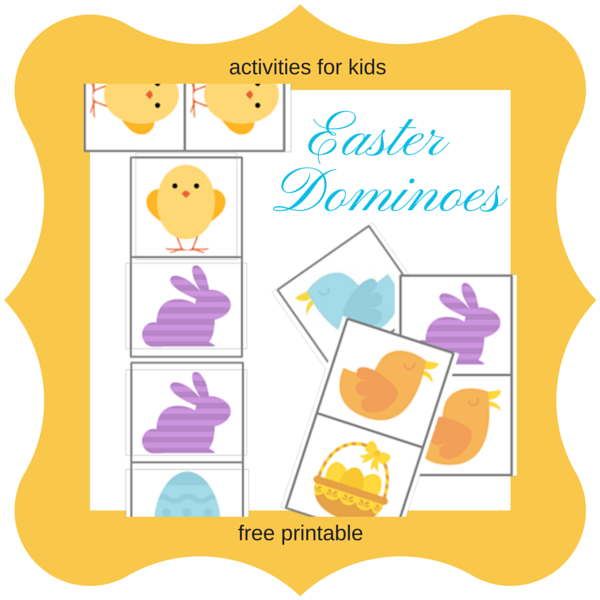 Basically, I designed a set of dominoes with Easter motives that can be easily printed and given to the kids to play. And if they are damaged by the end of the day or some of the pieces go missing in action, no problem, everything can be easily replaced at almost not cost. If you want to make your own, download the file here and use a color printer to print it front and back (the pages are organized in a way that when you print front and back, the back of the pieces will have some texture and color instead of just a blank look) in the thickest paper or cardboard you can run through your printer (an alternative is to print on regular paper and then laminate the pieces). There are eight pages in total, so four sheets of paper are needed. 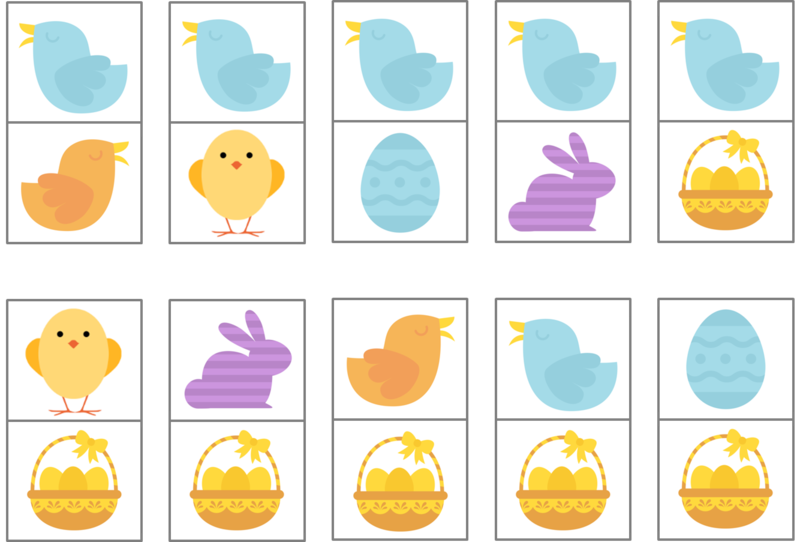 Enjoy, and have a wonderful Easter! That is a creative idea. I hear you on the kids short attention span with playing together and then the next minute, the fighting! Thanks for linking up with us at Home Matters linky party. We hope you will join us again at this Friday. Feel free to bring a friend!! Yeah, I guess kids are the same all over the world, but since I'm an only child I never had the brothers/sisters experience up close. It gets to me every time that one minute they are playing together and the next minute they are trying to kill each other...Anyway, thank you for stopping by! Those are so cute! I may have to print some off to entertain the kids this weekend! I hope they've enjoyed them! Thank you for stopping by!